Origin: Lateral condyle of the tibia, proximal 2/3 of the lateral surface of the tibia, interosseous membrane, deep fascia and lateral intermuscular septum. Insertion: Plantar surface on the base of the first metatarsal and medial plantar surface of the first cuneiform. Action: Dorsiflexes and inverts the foot at the the ankle. Action causes forward body to lean antagonistic to plantarflexion of the soleus and gastrocnemius. Active in balance mechanism of the anterior and posterior sway. Nerve supply peroneal nerve, L4-L5, S1. Paralysis results in loss of dorsiflexor and invertor power and results in development of equinovalgus deformity. This is seen initially during swing phase of gait as moderate equinovalgus with forefoot eversion. Later with more severe disease, this will be seen in both phases of gait. To compensate, long toe extensors function as dorsiflexors and become overactive during swing phase. Hyperextension of the proximal phalanges and depression of the metatarsal heads results. Contracture of the ankle gradually develops as functioning triceps contract. Occasionally, the unopposed activity of the peroneus longus, which depresses the first metatarsal, combines with an active tibialis posterior to cause formation of a cavovarus deformity. Transfer the the EHL tendon to base of the first metatarsal. When the peroneus tertius is functioning, it may be transferred along with the EHL to the base of the first metatarsal. 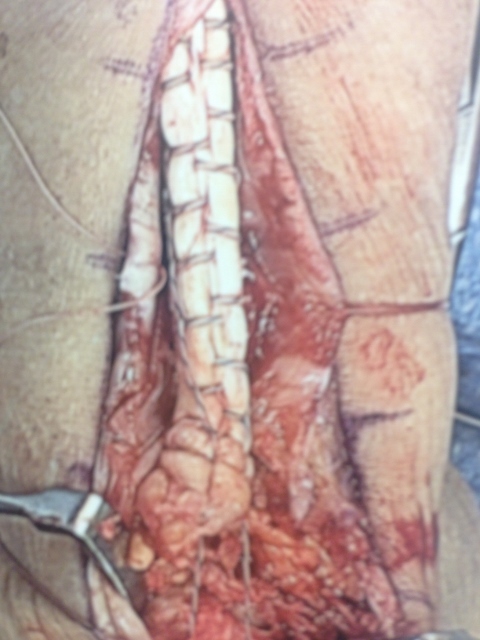 Plantar fasciotomy may be needed. 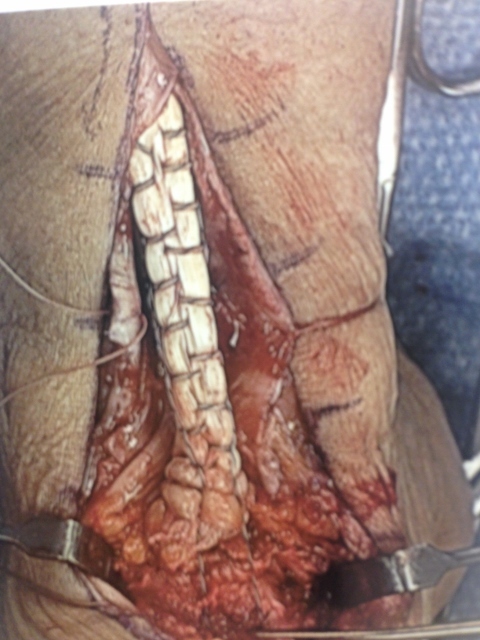 When the foot is severly relaxed or when the valgus deformity is fixed, tendon transfer is combined with triple arthrodesis. Symptoms of a ruptured tibialis anterior tendon are a sudden sharp pain and swelling over the first cuneiform, accompanied by an inability to coordinate normal foot motion. 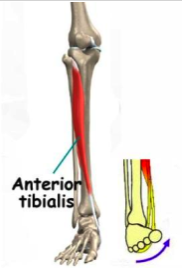 Anterior tibial muscle has a strong supinatory action when abnormal relationship between the talus and calcaneus is not been corrected. 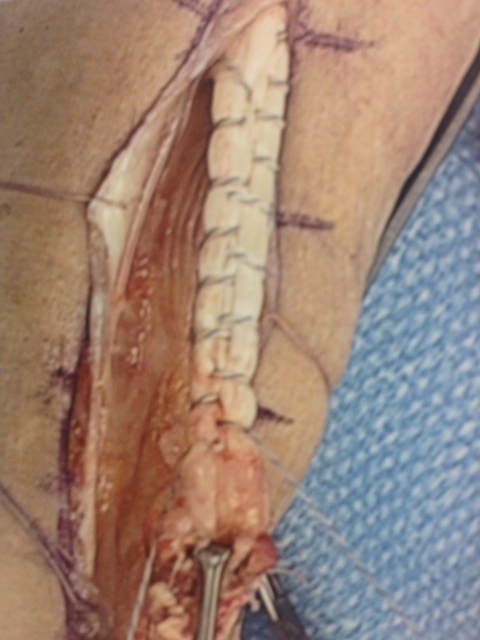 The Stump of the tendon as it goes up the ankle.